It happened in the blink of an eye. Less than a blink. Far less, actually. Slightly more than one one-thousandth of an eye blink, according to calculations. In that amount of time, one of your eyelashes traverses 10 micrometers on its journey toward your lower eyelid. And yet it was long enough to throw computers and communications systems around the world out of whack, generate thousands of alarms, and pull engineers from their beds at 2 a.m.
One occurrence might have been enough to do all that. I’m not sure. But it kept happening over and over again. Thus the alarms, the out-of-whackness, the sleep deprivation. At least it did not generate massive financial trading sell-offs, blow holes in national security, or shut down Facebook, Instagram and Snapchat. For that, we may be thankful. Companies and their time-servers around the world were subsequently hit by up to 12 hours of system warnings after 15 GPS satellites broadcast the wrong time, according to Chronos, a UK-based time-monitoring firm. Telecommunications companies constitute only a small part of industry users who rely on the highly precise accuracy of time measurements — supplied by GPS — to control data flow through their networks. Global financial networks and trading markets similarly depend on GPS, as do electrical power grids and many other sectors of critical national infrastructure. These companies and networks invest significantly in highly sophisticated equipment to monitor said timing accuracy as conveyed by GPS signals. Because billions, make that trillions — or actually even more — are riding on it. A week after the eye blinks, Chronos Technology released a white paper describing the ensuing fallout for its clients, who are timing equipment users in more than 50 countries around the world. Table 1 from the white paper reports the experience of a few during the event. One company registered nearly 2,500 alarms from its timing equipment during the outage. As Loran Is Our Savior. At least one timing-reliant company was not disturbed by the problems, because it was testing an alternative timing service provided by enhanced Loran (eLoran) signals. Unfortunately for them — and for the rest of us — eLoran has a very uncertain future. In fact, they were lucky to have an eLoran signal at all on January 26, because it was supposed to have been turned off on December 31. Somebody must have forgotten to tell the operators at the Anthorn giant antenna field in Cumbria to go home. France, Norway, and the United Kingdom, three countries that had been keeping eLoran alive, officially abandoned the effort at the end of last year, reportedly because of lack of leadership from the United States. The U.S. government decommissioned all its Loran stations a few years ago, even going to the extent of blowing some of them up (perhaps to prevent them from falling into the hands of subversives). Despite a recent reinvigorated interest in enhanced Loran technology, it may be too little, too late. Whoa, Nellie. 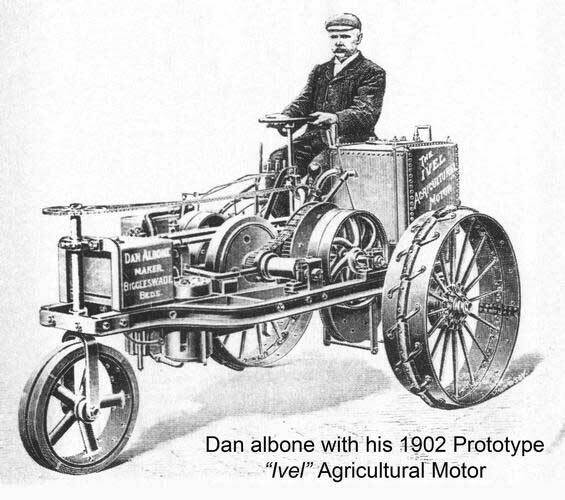 The first recorded use of the term “back-up technology” occurred in 1892, when farmers were urged not to prematurely abandon their mules in favor of John Froehlich’s new gasoline tractor. That admonition, however prudent, has since passed from view. But the concept remains sound. It has surfaced many, many times in GPS World magazine. Certainly not the first incidence, but the farthest back that I can retrieve via search on our website, came in 2007 from Defense contributing editor Don Jewell. “Why do we need a backup? Here is a classic case in point.” He describes a Joint Navigation Conference briefing on a surprise jamming incident that had occurred in January of that year. 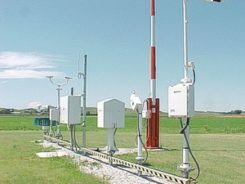 In 2009, we reported on an Independent Assessment Team (IAT) report that “unanimously recommends that the U.S. government complete the eLoran upgrade and commit to eLoran as the national backup to GPS for 20 years.” The report was written in 2007, but quashed by the Department of Transportation and Department of Homeland Security (DHS) Executive Committees that commissioned it. Its public release came only after an extensive Freedom Of Information Act (FOIA) battle. The U.S. government proceeded, despite its paid experts’ recommendations, to blow up those old Loran stations. The current renewed interest and the Wildwood experiment are worthy — more than worthy. Can they prevail? Can they survive blind reliance on a single string of vulnerable technology? Indubitably, the critical role of GPS back-up was advanced prior to 2007, I just can’t document it this morning by deadline. For the sake of argument, let’s take April 12, 2007, as our start. We are now 3,229 days out. That’s 77,496 hours, or nearly 279 million seconds. Correct me if wrong, but that appears to make 21.5 million-million times the length of January’s GPS timing error. Surely sufficient to blink a few times, scratch one’s head, and wonder. 6 Comments on "World dodges GPS bullet"
Nice article. I like the strip chart that shows a timing jump of a few micro seconds over a number of hours. After reading, I am not sure about the exact reason. Would this imply that the error was in the navData, rather than the timing of the C/A data? This would explain why the problem persisted. More specifically, was it in an ephemeris or almanac? The later would be more like to cause an error longer than the normal applicability of the ephemeris which is usually 2 hours these days. It think it is always interesting to see how the various receiver manufactures pontificate on their “superiority” in how their integrity checks caught the problem. But the good news is that these real life test cases become part of the new regression test cases. Many interesting questions come to mind..wow as SBAS affected, civil aviation, the DRONES??? A great forum would be to reach out to GNSS receiver manufactures to aggregate integrity logic, or cross checking, that we can all integrate into our next SW build to improve reliability. Thanks for chance to chime in. It appears that the problem was actually caused by an operator at ground control entering incorrect timing parameters for transmission to the SVs. A parameter which is normally very close to zero was entered as 13.6us, causing a 13.6us error in time solutions when converted to UTC. This was confirmed by receiver manufacturers who had captured the transmitted GPS frames and found the incorrect parameter being transmitted. In this case the GPS timing was not affected as far as we could see. All the pseudo-range stuff, satellite clock correction etc. was fully consistent, so there was no problem for a receiver to determine the GPS time or its own position correctly, and thus navigation wasn’t affected either. 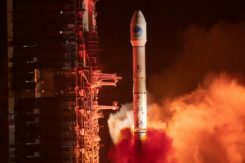 Only the UTC correction parameter transmitted in the navigational message was wrong, so only when receivers converted the determined GPS time to UTC by adding the wrong the UTC offset parameter the result was wrong by a few microseconds. Hi Martin, thanks for the very helpful description. So in terms of trying to make a RAIM algorithm to detect the problem, is there any redundancy on this parameter to allow a cross check? For example, was the UTC correction parameter seen in the almanac of all satellites, or was there a period where some had good and some had bad offset? My guess is that the correction would have been observable as a large jump from previous as GPS time to UTC should be stable. Maybe the condition could have been detected this way? Of coarse its hard to know when to not trust the control segment..What do you thin? Is there any possible fruit for this direction? Another idea for receivers to protect against this jump?